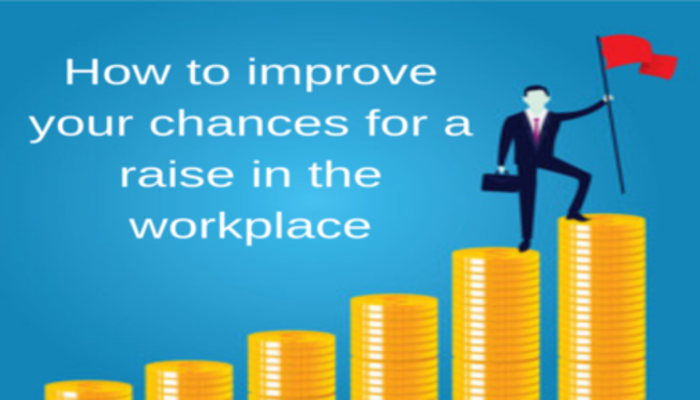 Do you want to improve your chances of getting a raise in your workplace? After investing so much time at work, one will definitely expect to see the outcome in his remuneration. But walking up to your boss to ask him for a raise directly might seem difficult. Some of us would rather prefer to manage a meager salary than summon the courage to ask for a raise. Are you one of those who feel awkward at the thought of approaching your boss for a raise? If your answer is yes then you are not alone as there are ways you can indirectly ask for a raise. Working in an organization without a career goal you want to achieve means that you want to remain in a particular position for the rest of your stay in the organization. Think about the most important thing in your career and picture your career in the nearest future (where do you want to be in the next five or ten years?). You can write it down in your diary. Then start with your long term goals and break them down gradually, for example, if your long term career goal is digital marketing, look out for the intense part of digital marketing. Don’t focus on what others are doing, probably SEO, SEM instead try to learn web data analytics. Talk with people in the field to develop a list of realistic activities, take an online data analytics software course, you can practice it at work by asking your boss for a small project that you can manage for a little period of time, before you know it, you’re perfect with what you are doing. The greater your skill level is, the more types of jobs you will be eligible to perform. Trust me you wouldn’t need to think much before you’ll be considered for a raise. As an employee, you need to understand what is expected of you in the organization and how performance is being assessed. You can do this by asking your colleagues, employer or sometimes it is discussed during meetings. Now check back, how have you been performing based on your own assessment? If you’ve been meeting up with it then don’t just stop there, try to do more than is expected of you and if you are underperforming, this is the time you need to step up your game. Ask yourself these questions: what are the most challenging things from my assessment? What can be provided for me to help me perform better? Then walk up to your team leader or colleagues and speak to them about things you may need to improve in your current job. This way you are working towards achieving a better result and therefore improving your chances for a raise. The best way to advance in your career is to seek support from other people. You cannot do it alone. If you already have a career goal as said in the first point; define what success means for you and how you hope to achieve it; think of specialized skills that no one else has and take the training course on that skill as that will set you apart from others, there’s no harm in learning different skills. Read widely, ask questions, talk to your mentor for advice, you can also talk to your manager to know the opportunities for advancement, take advantage of every opportunity that can make you better at what you do. By so doing, you have made yourself indispensable and irreplaceable. If you’re the only one in your department with an advanced degree or a skill that no one else has, then your company is likely to be receptive about considering you for a raise especially if your newfound knowledge helps increase the income. You can do this by going beyond your job description and also thinking of possible changes you can make within the company. When there’s a project, put in your best effort, what matters is some of those unexpected effort you put in, do things to make them know your worth, go extra mile to achieve what others may not be able to achieve, if there are things you don’t understand, asking your friends in the same industry will do you so much good. Try to work independently without having to be told what to do every step of the way, for example, if you’re given a task, finish up with what you are asked to do on time and ask for the new task even before you are told. This way, you tend to make your boss’s work easier for him. Competence, diligence, and intelligence are the keys to achieving success, but the most important is the will to carry out the best work possible. If you can prove that you can consistently own projects from start to finish, your boss will definitely see that change and consider you for a better position with a more awesome pay. Tne doesn’t have to be a team leader to carry out exceptional duties in the team. In order to be a good team player, you must have a positive outlook, be open to your team members, be a go-to person in that team, show leadership potential, help your colleagues the best way you can and try to raise the performance of your team members. Don’t be a selfish player in the team. Work collectively with others and communicate wins. Focus on what’s in the best interest of the organization and not just on your own interest. For example, when you are recognized for achievement don’t take the glory alone, point out others that played a part In the success. When you show that you can build and manage a profitable team, then be rest assured you will be considered for a raise. Loyalty is one thing that draws you closer to not just your boss but everyone around you. Keep a very good smile no matter how stressed you may be especially to clients, form the habit of being at work on time. If you want to be considered for a raise in your workplace, it is important to make sure that you are seen as someone who is trustworthy and who focuses on being productive rather than participating in petty office gossip and contributing to negative workplace attitudes. One thing most people don’t know is that pay is somehow linked with performance. It is not about how far you have gone in doing your job but how well you do it and how it has paid off. 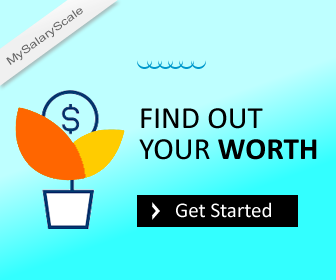 If you are sure you are ready to move higher in your company, follow these steps to improve your chances for a raise as it would help you build a solid professional reputation which could also help you achieve better opportunities even outside your present company.